It was a whole week that I spent working in Scotland and so to maintain my fitness for the Tour of Cambridgeshire I had decided to get in as much cycling as possible. Ahead of time I had expected it to be more but I think I’d forgotten about the time that would be needed travelling between places at the end of the day; Aberdeen to St Andrews and St Andrews to Glasgow are decent length drives in the evening after work! Fortunately being May there had been plenty of early morning/evening light and so I was able to get a good few efforts in. Including an evening in Glasgow and a morning in Edinburgh. Glasgow came first and although along the part of the river where I was staying it was nice with the impressive bridges, once I’d headed out on the roads toward Barrhead, the scenery became just an urban sprawl and seemed to go on forever, not aided by the regular traffic lights and very poor road surfaces. 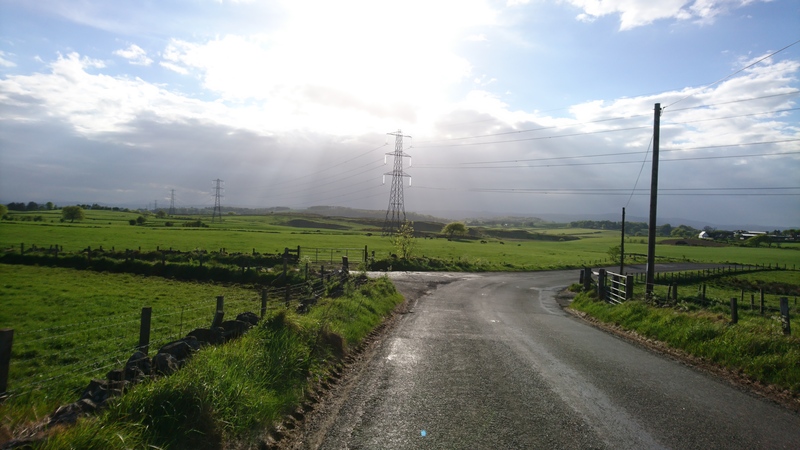 It was only after I’d passed through Neilston heading to Uplawmoor that I finally found myself out in the countryside. I remember thinking that I’m glad that I don’t live and work in a big city and that I should have driven myself out to a start point for this ride. Once out there though the area South West of Glasgow offered up some good cycling, I headed through Uplawmoor and on past the Barcraigs Reservoir and down into Howwood before cutting back through Gleniffer Braes Country Park; which I then realised would have made a much better starting point for my ride! From here it was back into the Urban sprawl of Glasgow, past the Ibrox stadium where Rangers were playing a mid-week fixture, past all the associated burger vans and waiting coaches and onward to my Premier Inn hotel. The highlight of the ride came after passing the reservoir and dropping down into Howwood. The B776 Bowfield Road is a decent little hill, 75 m of elevation over 1.5 km @ 5% gradient, so having got to the bottom I turned myself around and went back to the top. A win-win situation, not only do I get to do the descent again, I also get to do it as a climb! 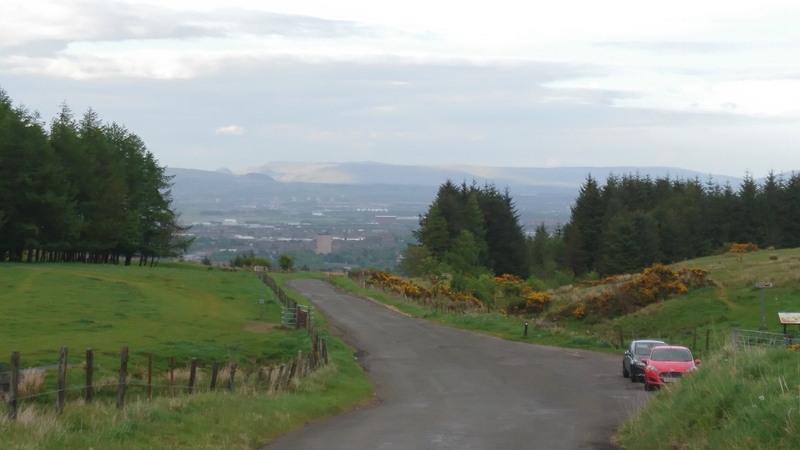 The climb up to Gleniffer Braes Country Park on Auchengreoch Road was worth the effort too and I’m glad I mapped that bit in to my route instead of just following the A761 to Paisley. There’s nice countryside beyond the urban sprawl! The ride in Edinburgh felt different. Still an urban ride, in fact this time more so as I went into town from the outskirts and up round the castle area and didn’t head out into the countryside at all. Maybe I was in a different mood, maybe it was because it was a morning ride or maybe it was just because I prefer Edinburgh to Glasgow, whatever the reason the ride down the cycle path into the centre of Edinburgh followed by a ride up Princes Street, The Mound, through the cobbles and down onto Regent Road was rather enjoyable. 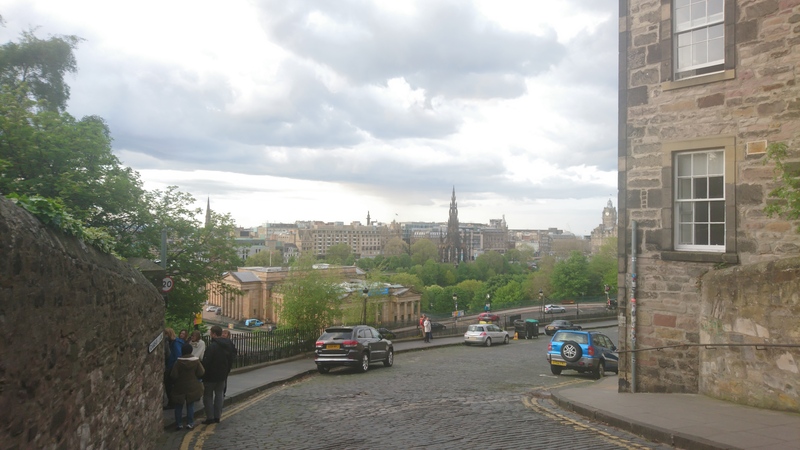 I had actually intended on taking The Royal Mile down to Holyrood and heading up and around Arthur’s Seat instead of Reagents Road; my usually good sense of direction escaping me on this occasion. Edinburgh was my final stopping point of the week and so my Scottish miles came to an end. I’m sure another trip up to the lands of the north will come up again in future, if so I will be planning my routes with more knowledge. My Mennock Pass route is well worth riding but next time I’d go all the way up to the radar station, now that I know it’s there. My St Andrews route although relatively flat and not hugely inspiring is nice enough for a good training blast. Taking the car out of Glasgow centre to a better starting point is definitely beneficial to enjoy the ride more; Glasgow is a big city to escape from. And maybe next time I’m in Edinburgh I’ll find Arthur’s Seat!